14 Happy Plush Animal Rockers for Toddlers! I Found The Cutest Plush Animal Rockers for Sale! 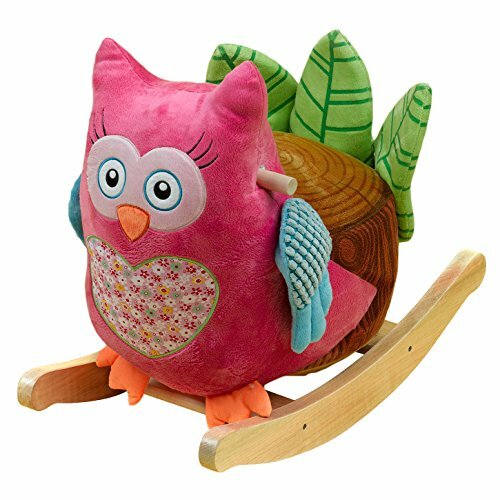 Cute animal rockers make awesome gift ideas for toddlers anytime! Now we can find dozens and dozens of super cute, fun and very colorful (and many of them also musical!) plush animal rockers for kids! They are not very expensive and absolutely perfect for 1, 2 and 3 year olds! Here are my top favorite animal rockers for kids! One of My Favorite Plush Animal Rockers for Toddlers! 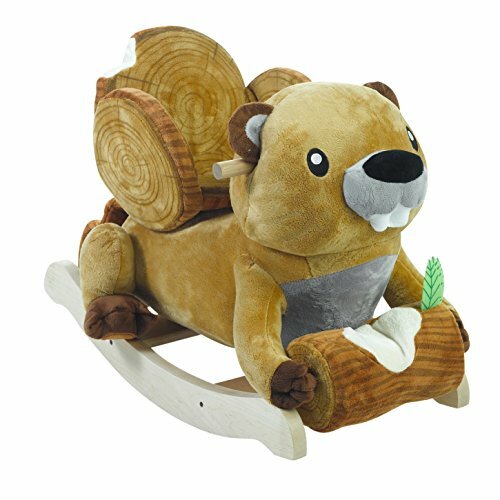 I had to start with this fun plush beaver rocker because it is one of my favorites! I love his cute and ‘happy’ beaver face! He loves rocking back and forth! It is a perfect toy for babies and toddlers! How about Ricky the Beaver? The Most Fun and Unique Animal Rockers for Children! 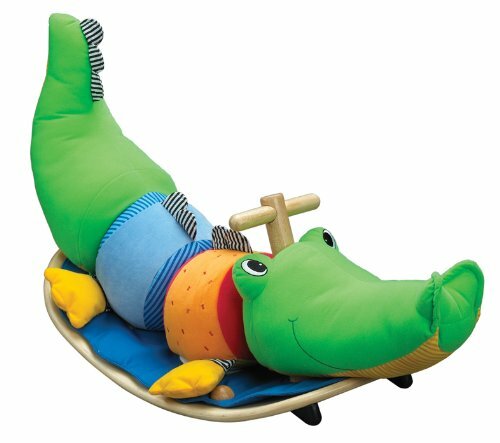 How cute and awesome is this crocodile plush rocker? I know… I know… Crocodiles are very dangerous, but this one is very friendly! All he wants to do is have some fun! Parents say this ‘Croc Rocker’ makes a great 1st birthday gift idea! Their toddlers LOVE him and have a blast rocking! 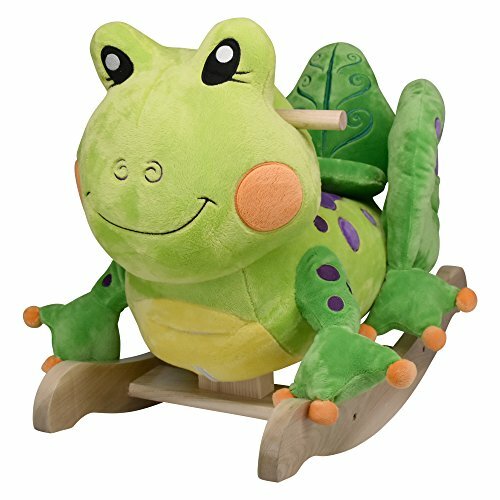 The happy plush frog rocker! His mission in life is to make toddlers happy! He is also a very educated frog fellow and he knows numbers, letters, colors and shapes and he loves to teach little kids! He fits little ones as young as 9 months old and as ‘old’ as 3 years old! Parents say their toddlers love him and they have a lot of fun pressing his head to make the music starts! Check out this little girl rocking on Fergie the Rocker for the very first time! Adorable! The Cutest Plush Butterfly Rocker for Little Girls! 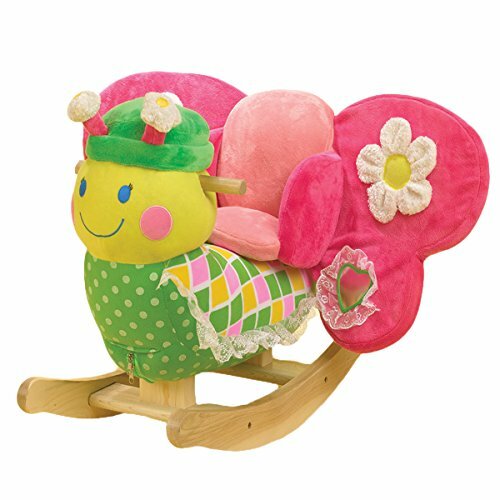 This cute pink, green and yellow plush butterfly rocker is the cutest ‘insect’ rocker ever!! I think it makes the most adorable new baby girl gift idea for happy parents! This cute butterfly also plays music! Cutest Lady Bug Plush Rocker with Musical Sounds! Fun Animal Rockers for Baby Girls! 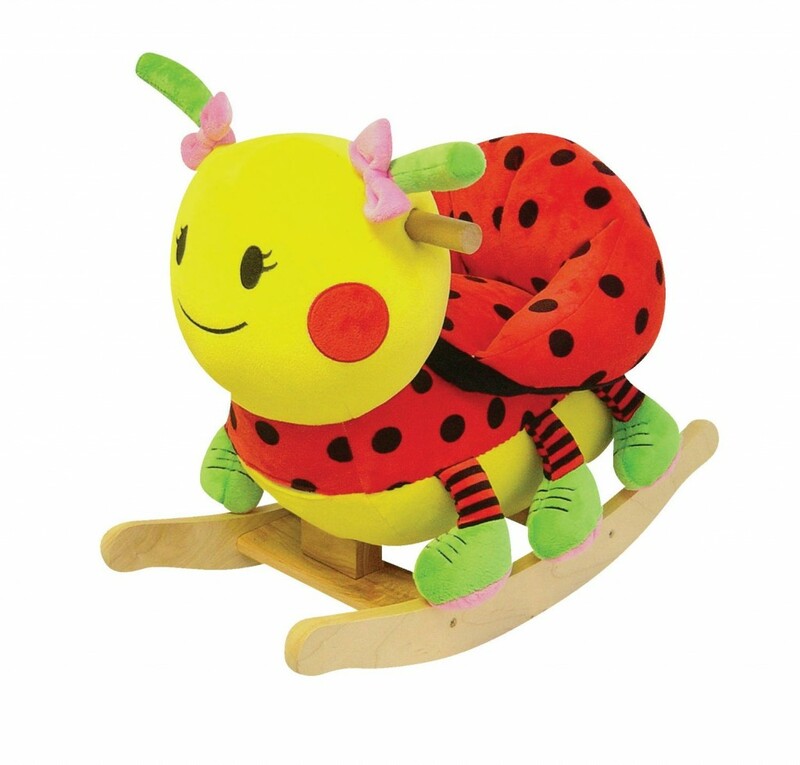 How absolutely adorable is this colorful plush ladybug rocker for toddler girls? Look at her cute ladybug legs! How’s that for your first granddaughter? I bet this cute plush ladybug will not disappoint! This toddler girl is also having the time of her life on her new ladybug rocker! Gerry the Cutest Giraffe Rocker! 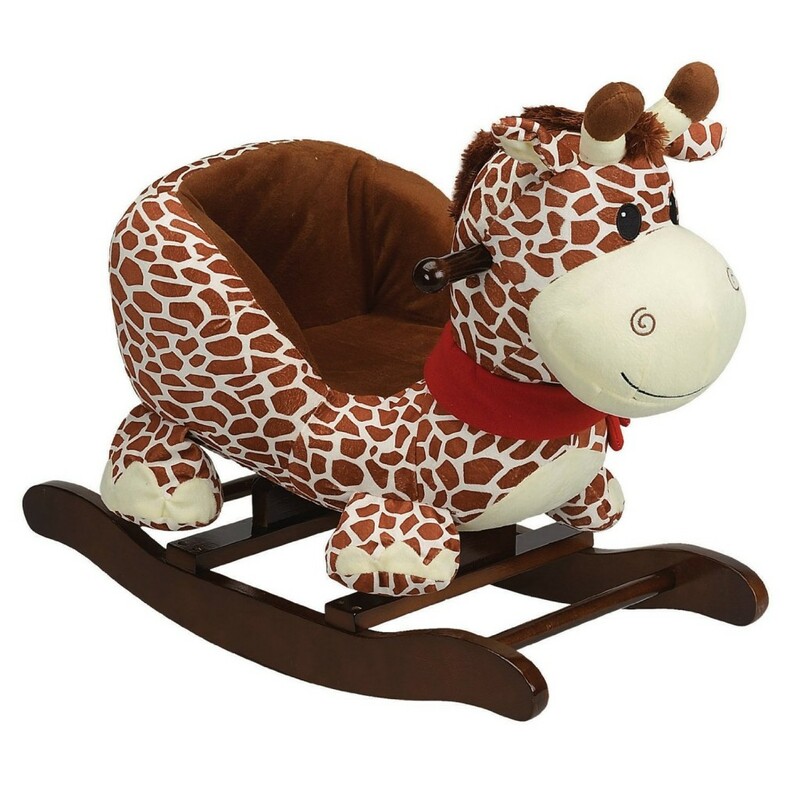 How gorgeous is this plush giraffe rocker? I love his bright ‘giraffe’ colors! Isn’t he perfect for a giraffe nursery room? It fits babies and toddlers up to 3 years old. 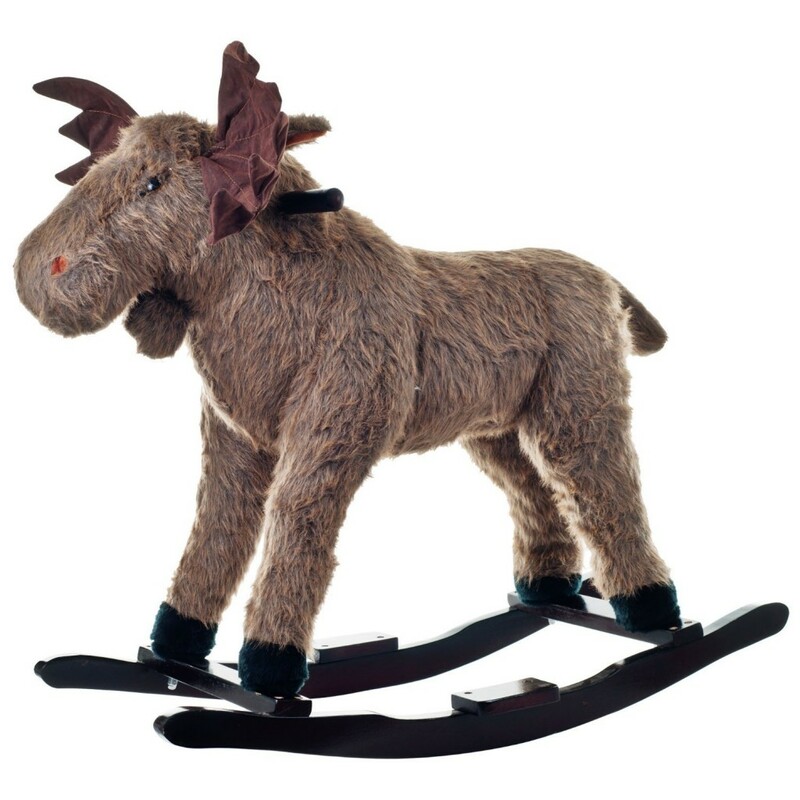 How unique is this moose plush rocker for kids? He fits older children, ages 3 and 4 years old! 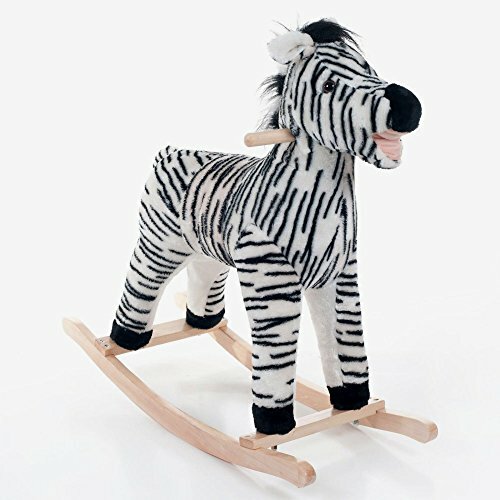 This is the cutest and most affordable plush zebra rocker for kids! It is a little tall for toddlers, so the ‘perfect’ age would be between 2 and 3 years old. Needless to say, it’s also perfect to complement a fun zebra nursery room! His colors are very bright! Buyers also say he is very sturdy and durable! 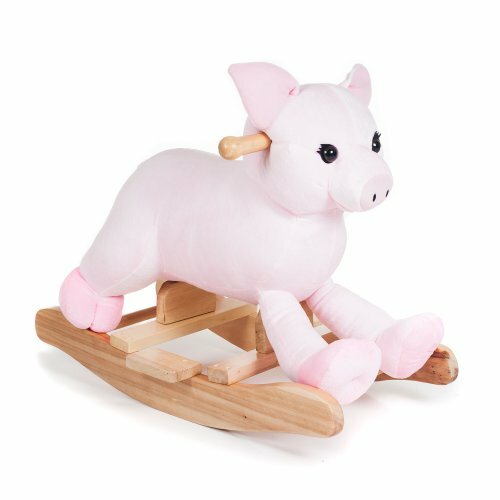 It is a Fun Hamlet Pig Plush Rocker for Kids! It’s a cute plush pig rocker! He loves to rock back and forth and he is ready to take your little one on a fun ‘rocking’ adventure! He is absolutely perfect for adventurous toddlers and little ones between the ages of 2 and 4 years old! 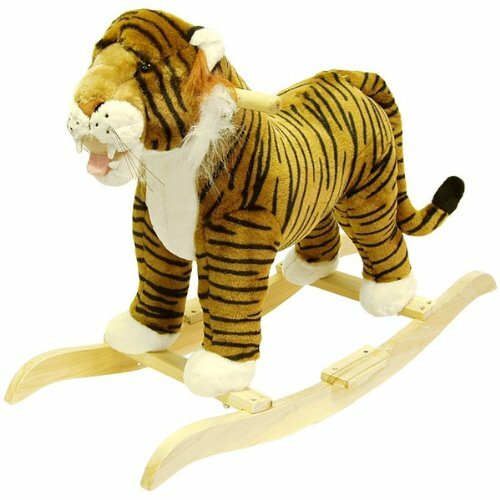 What a gorgeous and very realistic plush tiger rocker for kids! Perfect for a Safari or wild animal themed nursery! 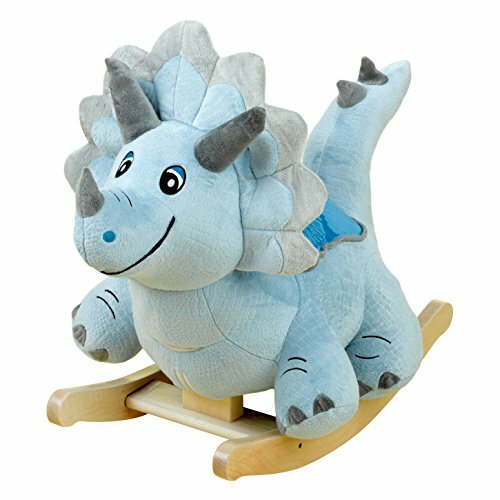 Cute and FUN Plush Blue Dinosaur Rocker! Look who just came to play!! It’s a fun blue dinosaur! He is also a plush rocker! He is happy to rock with your child! He fits most babies and toddlers until about 2 years old. Oh, did I mention that he is also musical? 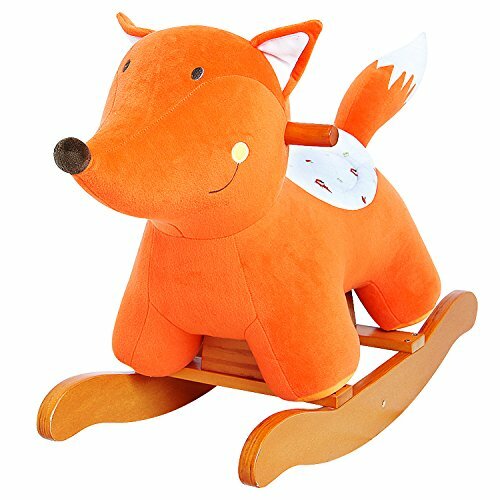 What a gorgeous and very bright orange fox plush rocker! He is super soft and cuddly! Not to mention super happy and thrilled to be going home with you today! He can’t wait to meet your child! How about a Cute Dragon Plush Rocker? Best Animal Rockers for Kids! 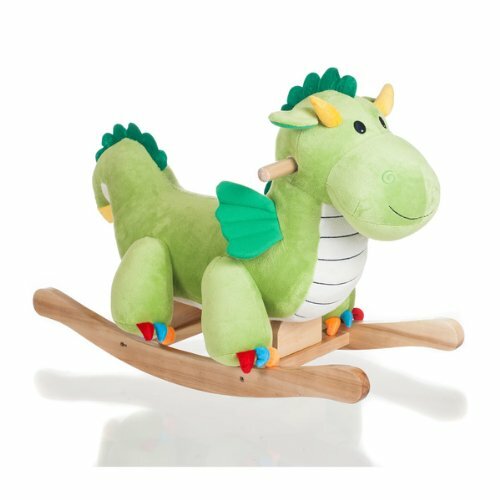 How cool is this green dragon plush rocker for toddler boys? He fits toddlers up to 4 years old! He is very sturdy, very soft and very happy! Beautiful Wooden Rocking Horses for Kids! The Most Fun Ride on Horse Toys!